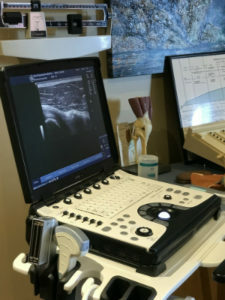 Dr Davison is using diagnostic ultrasound imaging on NBA player Jokim Noah. 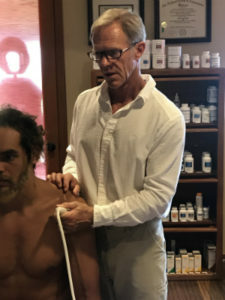 Dr Davison utilizes US for guided imagery for injections and for aiding his diagnosis of the many musculoskeletal injuries he sees. Dr Davison is using diagnostic ultrasound imaging on NBA player Jokim Noah. Many Olympic and professional athletes are seeking leading edge treatments for soft tissue injuries that may not need surgery to get back in playing shape.